Beca’s Kitchen is a homemade food bistro-restaurant in Bucharest, near Romana Square, which is "inspired by freshness", as it states. The owner of the restaurant, Andreea Beca, also hosts a blog where she publish her delicious recipes, inspired by different fusion cuisines, such as Asian, Mediterranean, French etc. And if you do not smoke, this Bucharest restaurant is for you! 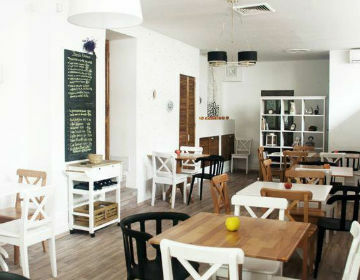 Locals in Bucharest have reviewd Beca’s Kitchen Organic in Bucharest. You can find here description, reviews, address, map, phone, website of Beca’s Kitchen Organic in Bucharest. Visit Bucharest Tips for more Organic restaurants in Bucharest!